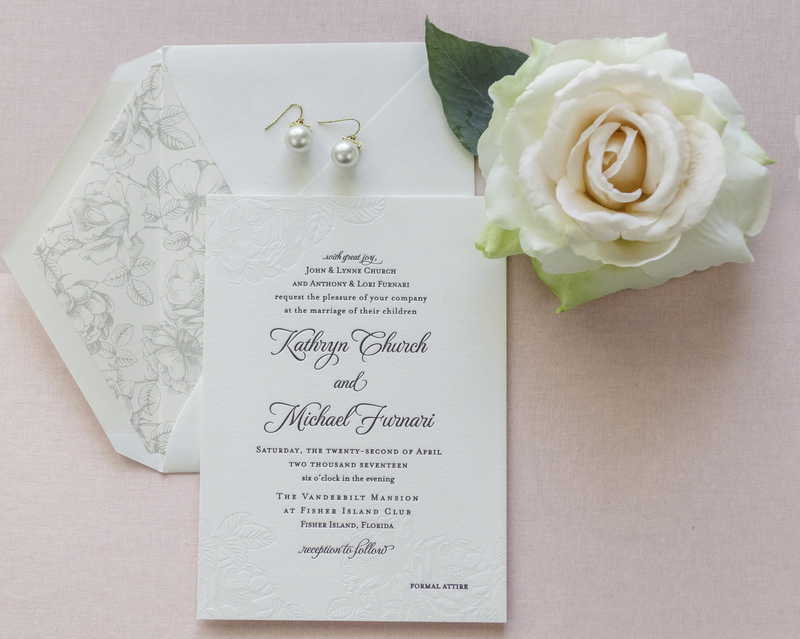 We are beyond excited to showcase these elegant, floral letterpress wedding invitations! 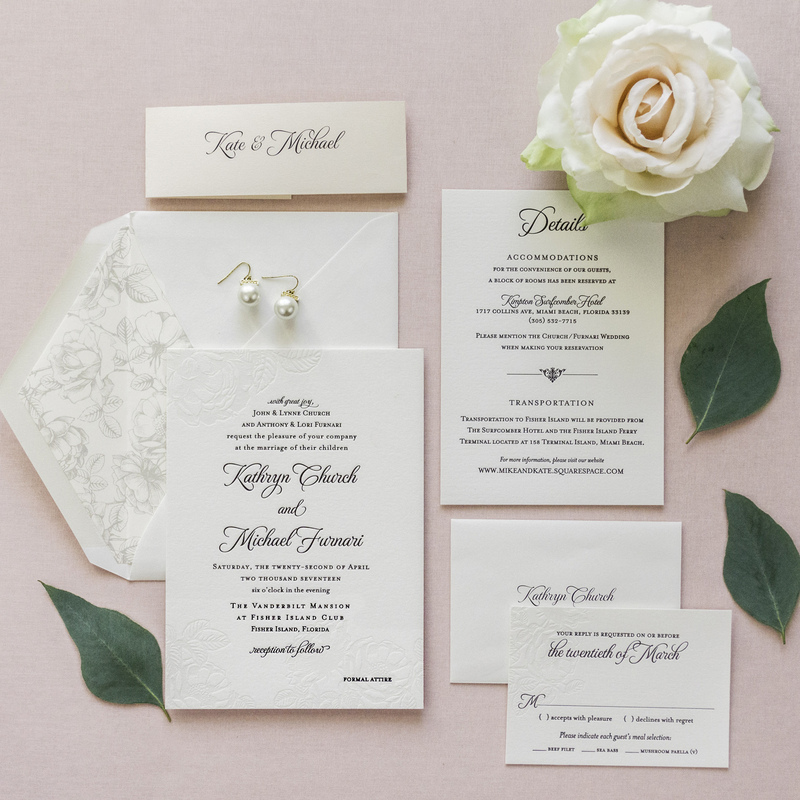 This bride + groom tied the knot at the Vanderbilt Mansion, a luxurious 1930s Mediterranean-style venue located in Fisher Island, Florida, and they wanted their invitations to evoke a sense of romantic, old-world charm. 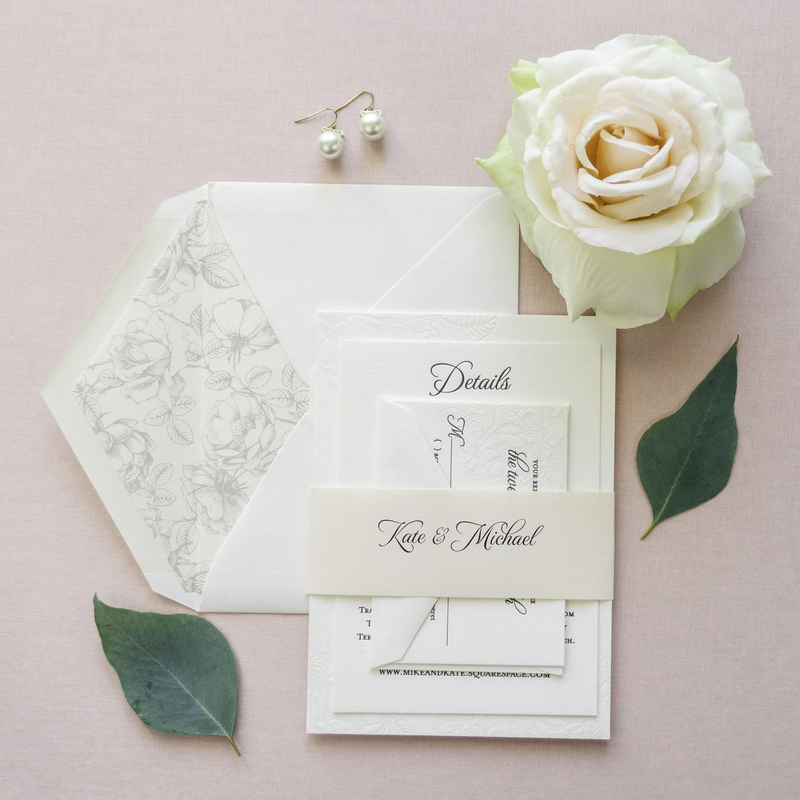 The bride loves floral designs and blind letterpress, so we created an elaborate floral motif and displayed it throughout the invitation suite. 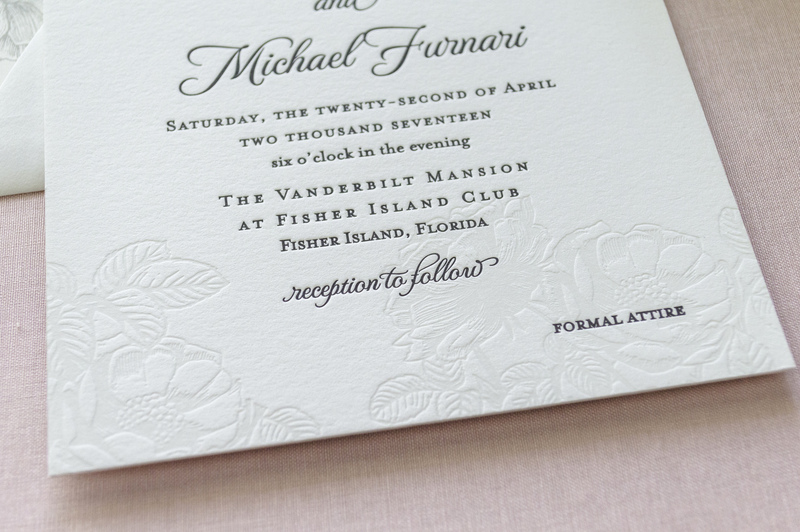 For a regal look, we printed the invitation on paper stocks that were larger and thicker than regular invitations. 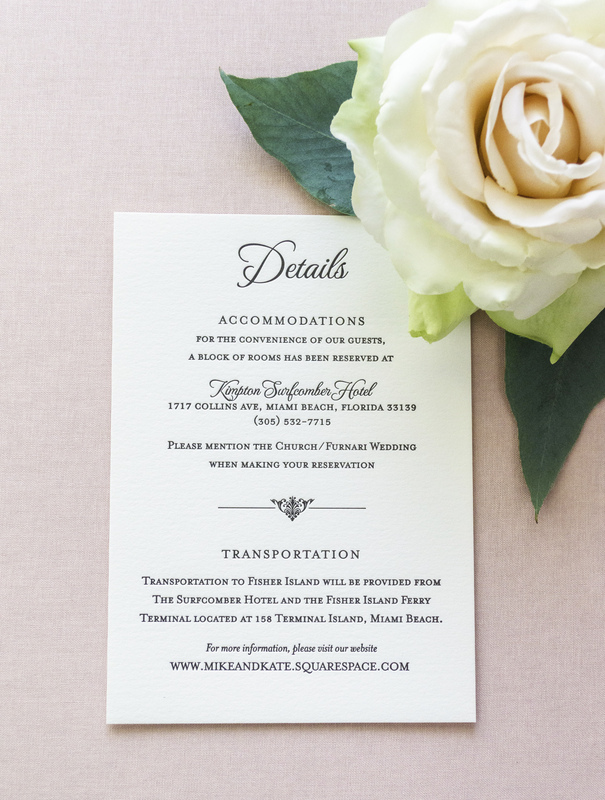 To maintain an elegant, clean appeal, we blind-pressed the floral designs and letterpress printed the wording in black ink. 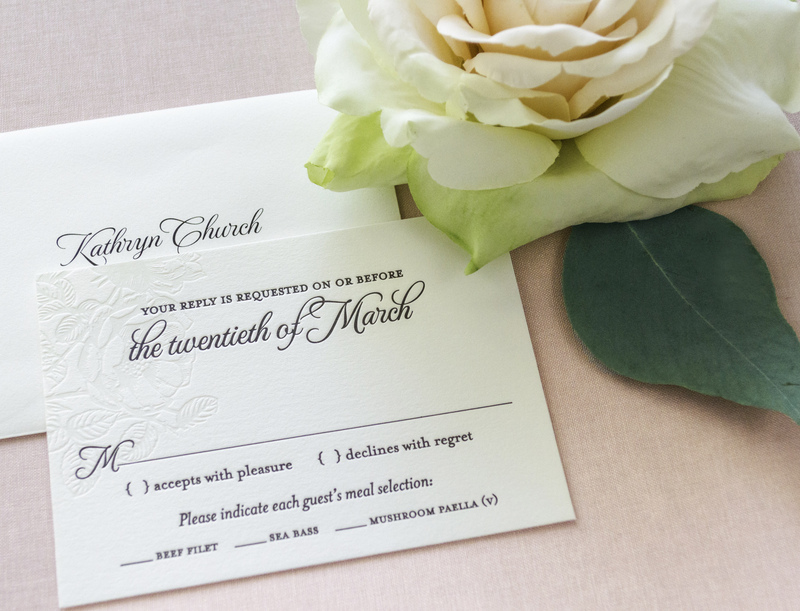 As a finishing touch, we carried the floral designs onto the envelope liners and wrapped each invitation suite in a simple blush bellyband. 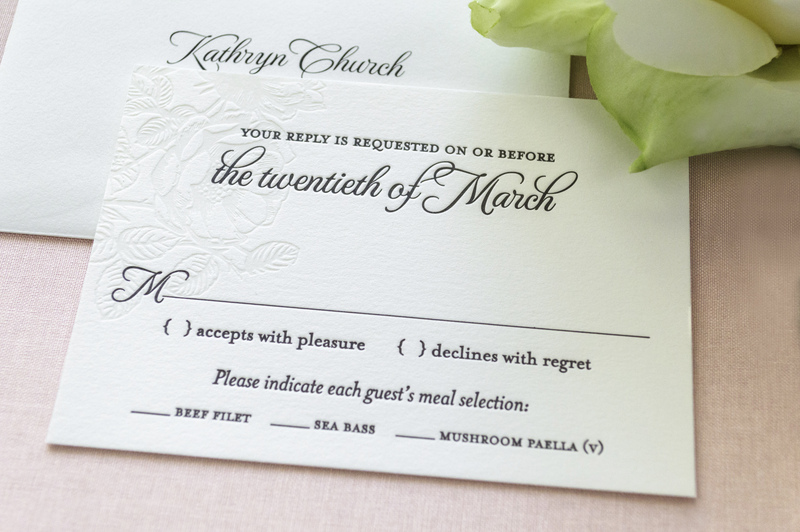 We love the romantic and timeless look of these letterpress invitations! Thanks for sharing. 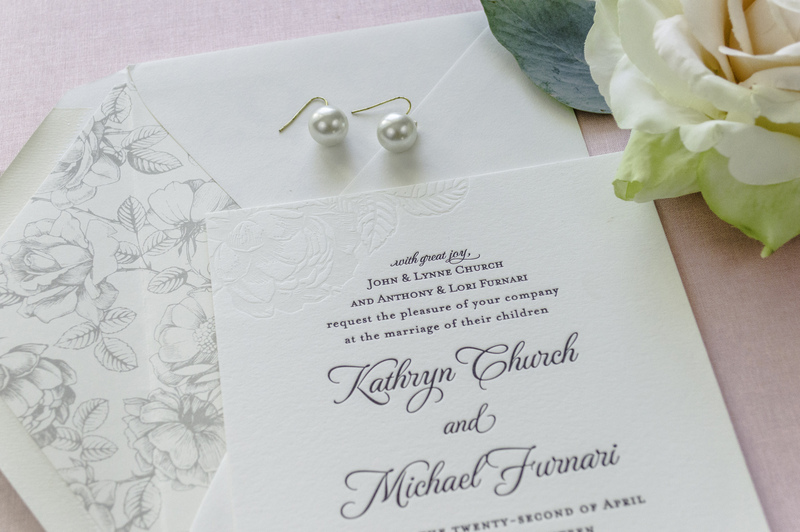 I really like these beautiful images of floral letterpress wedding invitations.